The way you hold a pencil can be a huge help when drawing or writing. This is a demonstration on how to hold a pencil. Learn the benefits of holding the pencil in the tripod grasp or grip. Become aware that the base of your hand steadies the tripod as you draw or write. We have a new gripper in our store, called The Pincher Grip...BUT, I dislike associating the word "pinch" when holding a pencil, so I'm choosing to call it The Thumb Grip. This gripper is similar to the Crossover Grip, but does not have the "hood". I think it does a good job of discouraging the crossing over of the thumb and is more accommodating for children with long fingernails. It just might replace the Crossover Grip, at least that's what I'm finding. The manufacturer sees it as a transition from the Crossover Grip > Pinch Grip > Pencil Grip. I believe that children can go from Pinch Grip (Thumb Grip) to no gripper. Much More Than "Pretty Writing"
"Don't worry, he will write on a computer." Children with poor motor-skills need training in handwriting and should not be told to simply forgo the pencil and use a computer to write. A bright teen came to me for help. He wrote only on the computer and found that there were times when it was necessary to write by hand. His lack of handwriting experience hindered him with illegible and slow writing, but more significantly, he had problems composing without a computer. He was unable to mentally outline an essay—he had always used cut and paste to organize his thoughts. Poor motor-skills can improve with age and practice. As a young child, this teen should have received help with his fine-motor and gross-motor development, and the standard of perfect penmanship should have been loosened. His caring parents would have helped him, but they were told, "Don't worry, he will write with a computer." As it was, this bright and motivated young man saw the need to catch up and simply worked on it himself. For some, an occupational therapist trained to work with handwriting can make the difference. The computer is a fine tool for writing, but not when it keeps us from exercising our brains. Handwriting practice that leads to a legible script is a terribly important skill for growing minds. 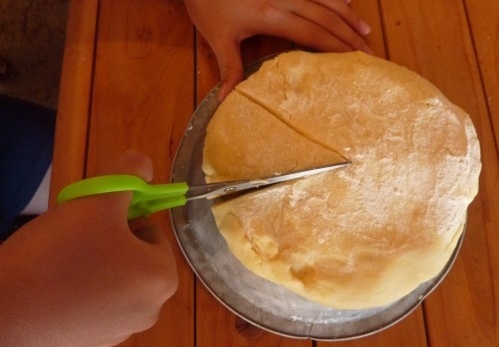 It is a necessary skill that should not be taken lightly. the child with a flair for penmanship. 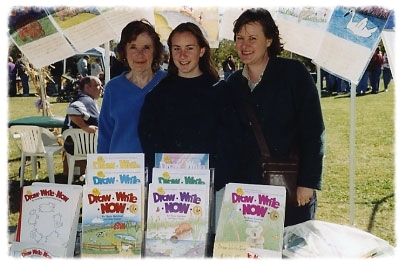 I just love your Draw Write Now books! I have the eight-book boxed set and have been enjoying them every week with my four and five year-olds. I am trying to incorporate the lessons with my social studies/history plans; it is working wonderfully! My question: is there a full list of the drawings in all eight books? I am finding myself, for example, hoping there is an owl and needing to search the Table of Contents of all eight books to find what I need. Note: The search box is found on the footer of each page of this website. 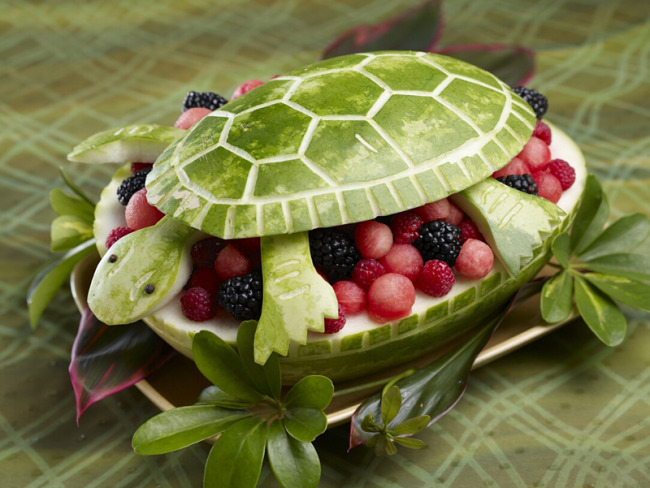 Set the table with this turtle watermelon! Watermelon Carving recipe: National Watermelon Promotion Board website. Then, pull out the paper and crayons and draw the turtle. 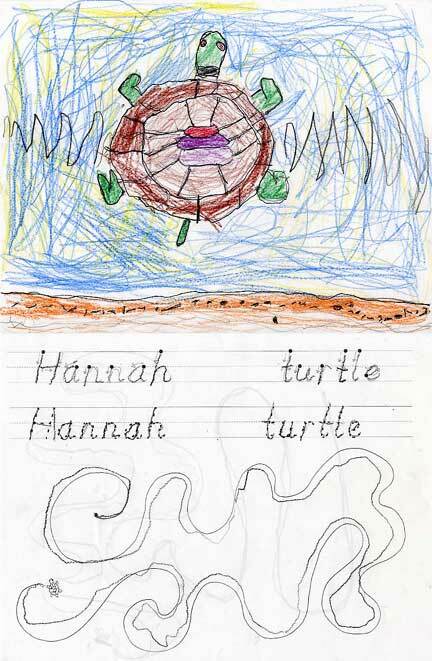 Turtle Drawing Lesson: Draw Write Now, Book 6, page 34. Fine Motor Development, see CurriculumChoice. Betsy’s review at curriculumchoice.com of PlayPack: Fine Motor Focus. Find PlayPacks in our store. See Betsy’s full review and helpful tips at CurriculumChoice.